"The girls sounded great, and the audience loved them. It was the high point of our show. I'm honored to be associated with such talented young ladies!" "I really enjoyed hearing you girls play! I can tell how much work you put into that. You all sounded really good!" "These girls are truly amazing talents!" "Boy, those Pendleton sisters! Whew! What prizes you have here in Tulsa!" at the Spotlight Theatre every month." "The girls knocked it out of the park during Tuesday evening’s entertainment! People LOVED IT!!! They were so darn cute and soooooooo talented." 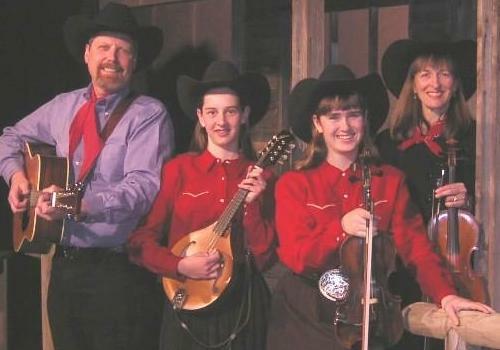 "The Pendleton Family Fiddlers showcase musicianship at its best." "The Pendleton Family Fiddlers...a delightful family affair...a string power group..."
"We've had the privilege of knowing the Pendletons for a few years now and continue to be impressed not only by their talent but by their generosity in encouraging other musicians and performers."